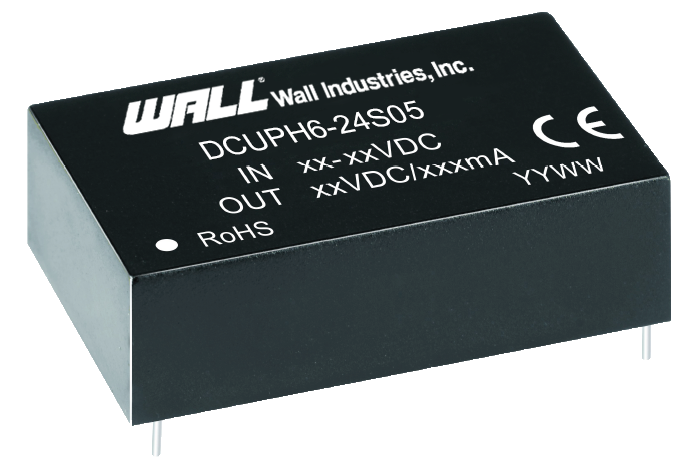 The DCUPH6 series of DC/DC converters offers up to 6 watts of output power in an ultra-compact 1.24” x 0.80” x 0.40” DIP package. This series consists of single output models with an ultra-wide 4:1 input voltage range. Each model in this series features high efficiency, international standard pin-out, as well as protection against over current, over voltage, short circuit, and input under voltage conditions. 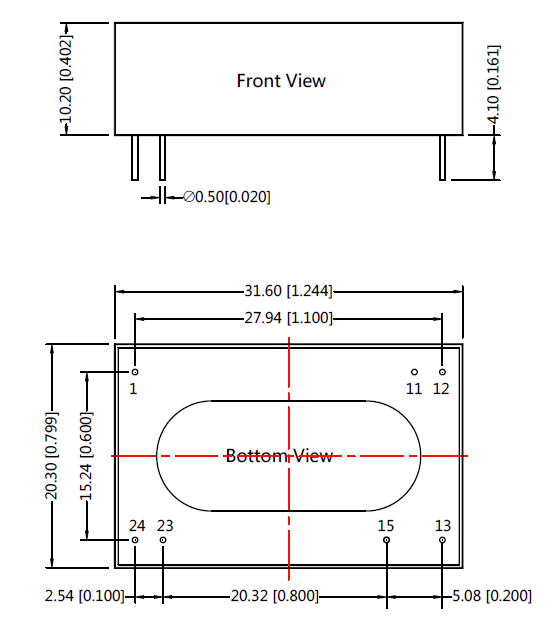 This series has EN60601-1 (3rd Edition) approval and is RoHS compliant. Notes: 1. When testing from 0% to 100% load working conditions, load regulation index of ±5%. 2. 0%-5% load ripple & noise is no more than 5%Vo. Ripple and noise tested with “parallel cable” method, oscilloscope using the 1X probe. Contact factory for more specific operation methods. 3. This series uses frequency technology, the switching frequency is the test value for full load. When load is reduced below 50%, the switching frequency decreases with decreasing load.